Penname Ameraleigh Real Name Nikki Aka Lee I will answer to all three of these names. I’m 25 from a small town in the South Island of New Zealand. When I’m not on here writing my often crazy fics, I work for the government, no really I do. I work for New Zealand Post. I love everything about Prison Break, but I guess that really goes without saying now doesn’t it? I’m equally as passionate about other shows such as Gilmore Girls, Veronica Mars, Gossip Girl, Chuck and Merlin. I own way too many DVDs and shoes, and I have a weird obsession with photoshop. So if anyone is in need of any banners or the like, I’m more than happy to help out. Same goes for a beta, just let me know. Summary: Following Michael, Lincoln and friends crazy antics from The Talent(less) Show, to trying to win the Bowling Championships to being Half-assed. Summary: Follows the gang from Panama back to Chicago. They attempt to bring down the Company and salvage what is left of their shattered lives. 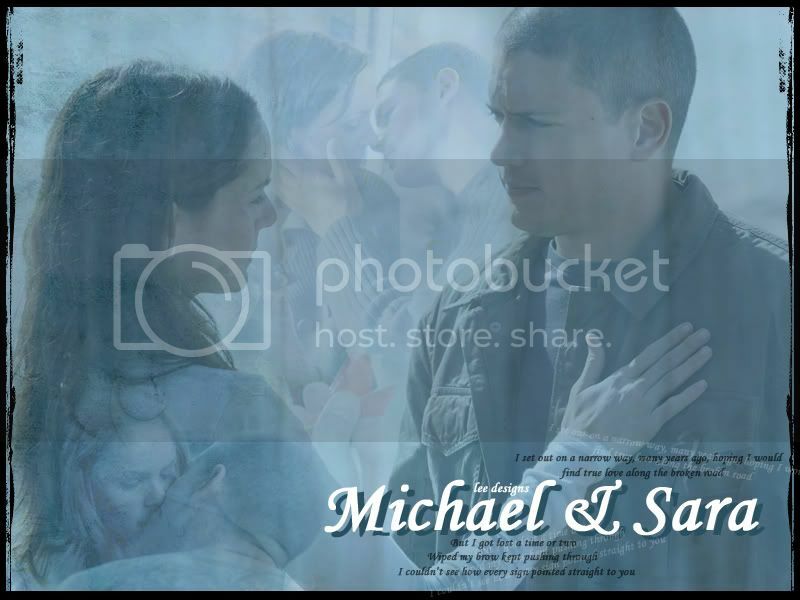 Summary: Follows the journey of Michael, Lincoln and Sara as they fight their way out of the Company's clutches.